If you are following the coverage of tomorrow’s conference on this blog tomorrow and have a question that you would like me to forward to one of the speakers, please email them to jprice1@live.com. Please include the name of the speaker in the subject heading. Thanks, and I look forward to what will surely be a great conference! 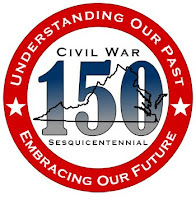 It looks like Governor Bob McDonnell will be addressing the crowd at the Virginia Sesquicentennial Commission’s Signature Conference at Norfolk State University this Friday. I will be there blogging live and will do my best to summarize his remarks. The full story is included below. Sept. 21--NORFOLK  Just months after he triggered a national racial brouhaha for neglecting to mention slavery in a proclamation on Confederate History Month, Virginia Gov. 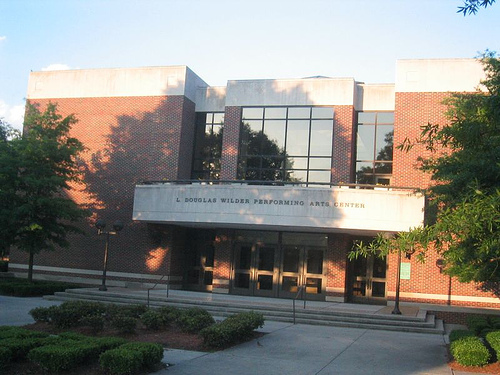 Bob McDonnell travels to Norfolk State University on Thursday to talk about slavery and the Civil War. McDonnell issued the state proclamation quietly in April, but the document quickly sparked a racial firestorm nationwide because the word "slavery" was completely omitted. Even President Barack Obama chastised the Republican governor, who offered an apology a few days after the proclamation made national waves. McDonnell had this to say at the time. "The failure to include any reference to slavery was a mistake, and for that I apologize to any fellow Virginian who has been offended or disappointed," McDonnell said. "The abomination of slavery divided our nation, deprived people of their God-given inalienable rights and led to the Civil War. Slavery was an evil, vicious and inhumane practice which degraded human beings to property, and it has left a stain on the soul of this state and nation." 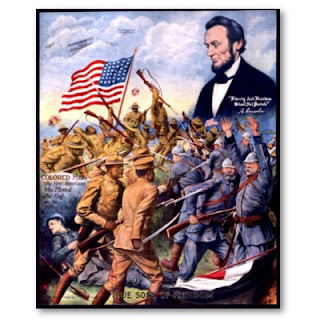 The proclamation was written at the request of the Sons of Confederate Veterans, and McDonnell said at the time that he wanted to use Confederate History Month to promote the looming anniversary of the Civil War. 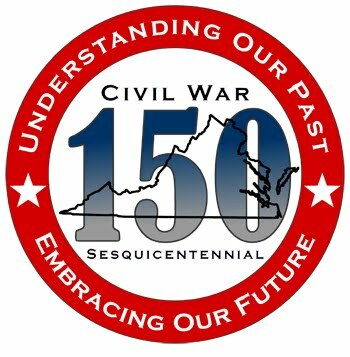 "The Confederate History Month proclamation issued was solely intended to promote the study of our history, encourage tourism in our state in advance of the 150th anniversary of the beginning of the Civil War and recognize Virginia's unique role in the story of America," McDonnell said in April. While the nation’s attention is riveted upon the ongoing dispute over the proposed casino on the Gettysburg battlefield, another important battlefield has sat in obscurity for 145 years – the killing fields of New Market Heights. Did you know that this year marks the 20th anniversary of the attempt to make the battlefield at New Market Heights a National Historic Landmark? 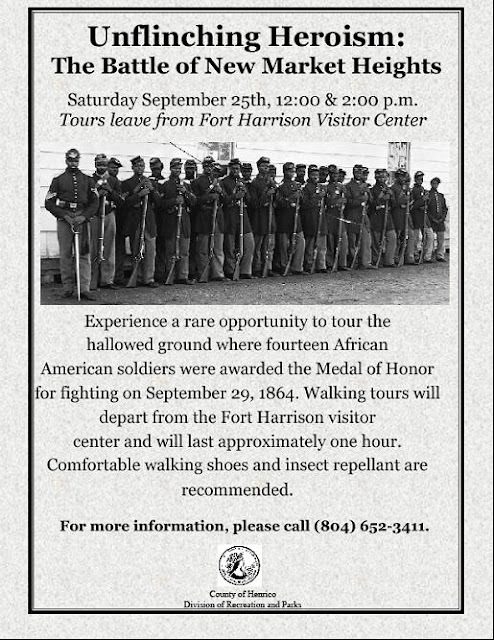 The attempt was made between 1989 - 1990, led by an African American military veteran who wanted the ground where 16 USCT’s (14 African American enlisted men and two white officers) were awarded the Congressional Medal of Honor to be preserved and recognized. The reasons that this did not happen are illustrative of just how complicated and frustrating battlefield preservation can be. a. Designate the New Market/Chaffin Farm area as a National Historic Landmark. b. Resurrect the Dept. of Interior’s 1979 study to expand Richmond National Battlefield Park to include the New Market Heights Battlefield and Fort Gilmer Extension. To cover their bases, the BMHIA also sent a request to the Virginia Department of Conservation and Historic Resources for a state highway marker to be placed near the battlefield. 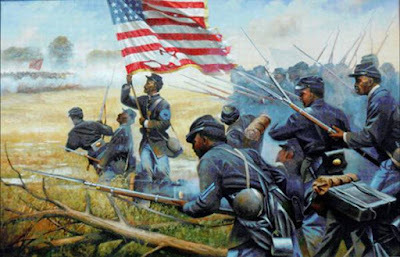 In the meantime, local landowners began to dispute the claims that the Battle of New Market Heights was fought on their ground. Not only did they dispute the location of the battlefield, they also disputed the date of the battle. They maintained that the battle took place on Signal Hill, north of route 5 (historic New Market Road) even though a cursory examination of the maps made by the Army of the James in October of 1864 clearly shows the battlefield to be south of the road. In retrospect this seems ludicrous, but these landowners were apparently willing to twist the facts to make sure that the historic battlefield of New Market Heights would not be preserved. The NHL nomination is dead; it will not be pursued any further by the NPS because of near-unanimous owner opposition…The NPS and the county and Warner’s office are all aware that the battle happened to the south of Route 5, not on Signal Hill. Most of the land where the battle really occurred is in the hands of the opponents…. The property owners...contend that the battle really happened farther to the east and a week or so earlier than everyone else thinks, Bearss and Richard Sommers (author of Richmond Redeemed) being "everyone else." Thus ended the battle for making New Market Heights a National Historic Landmark. In 1993, a roadside marker was placed on Route 5 to mark the site of the battle. This was accomplished with the assistance of the BMHIA. Thankfully, there have been renewed talks about preserving what is left of the battlefield at New Market Heights. Congressman Bobby Scott of Virginia’s Third District has requested $10,000,000 for a New Market Heights Memorial & Visitors Center, stating that "The funds will be used for land acquisition, site preparation and toward construction of a memorial and visitor’s center at New Market Heights, adjacent to the Richmond National Battlefield Park in Henrico County, Virginia." It remains to be seen what will become of this effort. 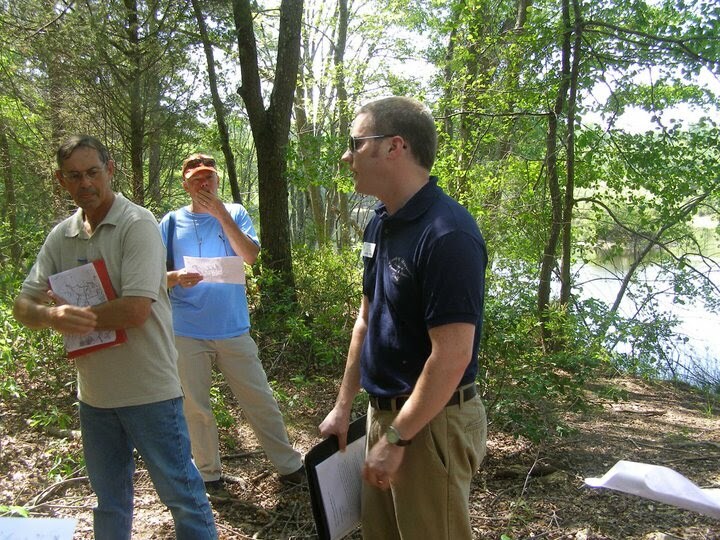 In the meantime, the portion of the battlefield where the USCTs made their charge against Confederate defenses south of Route 5 has been preserved by the County of Henrico and remains dormant and undeveloped. Part of this land was destroyed by a gravel pit that was converted into a large pond before the County purchased the land. The remainder is nearly inaccessible due to the propensity of Four Mile Creek to flood and overflow the dirt road that leads to the site. Henrico County has plans to devlop the site and erect a monument to the USCTs and on September 25th I’ll have the honor of leading a special tour of the site for the 146th anniversary of the battle. Unfortunately, some of the land that has not been protected is about to be lost forever due to a developer who refused to listen to a local preservation group. 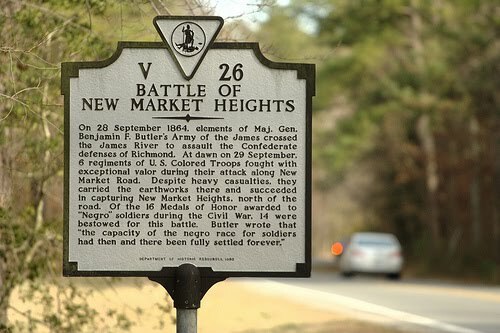 In a sense, it seems as if the Battle of New Market Heights is still being fought. The Civil War Preservation Trust listed New Market Heights as one of America’s Top 10 most endangered battlefields (see here). Pictured below are some of the remaining earthworks located on County property. As the Sesquicentennial of the Civil War quickly approaches, let us hope that the protected land is turned into a place where generations of Americans can come and celebrate the courage that was shown there on September 29, 1864. In the meantime, make sure you support your local preservation group as much as possible.